Hardcover, 8-3/8 in. x 11 in. 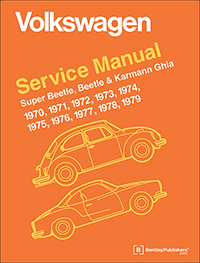 The Volkswagen Repair Manual: Super Beetle, Beetle and Karmann Ghia: 1970-1979 is a definitive reference source of technical automotive repair and maintenance information for the classic air-cooled Volkswagen Type 1 models. Click here to view specific chassis number coverage for this Beetle repair manual. The aim throughout has been simplicity, clarity and completeness, with practical explanations, step-by-step procedures, and accurate specifications. This Volkswagen Type I service manual covers Beetles, Super Beetles, VW Convertibles and Karmann Ghias for the model years 1970 through 1979. 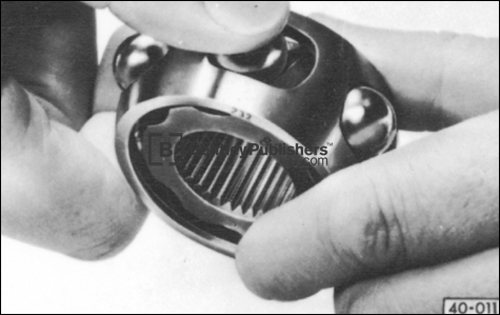 This manual was created specifically to cover air-cooled Volkswagen models built for sale in the United States and Canada. Tune-up and oil change: specifications and procedures for models, up through the latest 1979 cars. Troubleshooting, replacing or repairing electrical system components, including complete wiring diagrams. 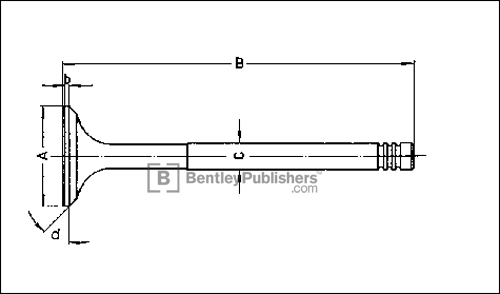 Troubleshooting and repair of the electronic fuel injection system used on 1975 and later models. Troubleshooting, repairing and rebuilding the clutch, manual transmission and Automatic Stick Shift. Rebuilding the carburetor - including the 1974 California-only carburetor. Rebuilding disc and drum brakes. Rebuilding the front axle and steering gearbox. Strut front suspension for the Super Beetle and Convertible-including the suspension modifications of 1974 through 1979 models, and the rack and pinion steering of 1975 and later models. Spark advance curves for distributors-including the latest types. 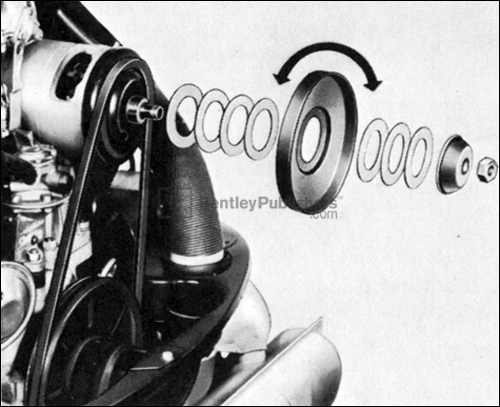 Emission controls-including 1974 through 1979 exhaust gas recirculation systems. Tolerances, wear limits, settings and tightening torque specifications for every part of your car. See how to perform routine maintenance procedures, such as adjusting Alternator or Generator belt tension. Cylinder head service and reconditioning, including complete cylinder head and valve train specifications. Transmission, differential and drive axle repair and rebuilding, including procedures for repairing and replacing CV joints. 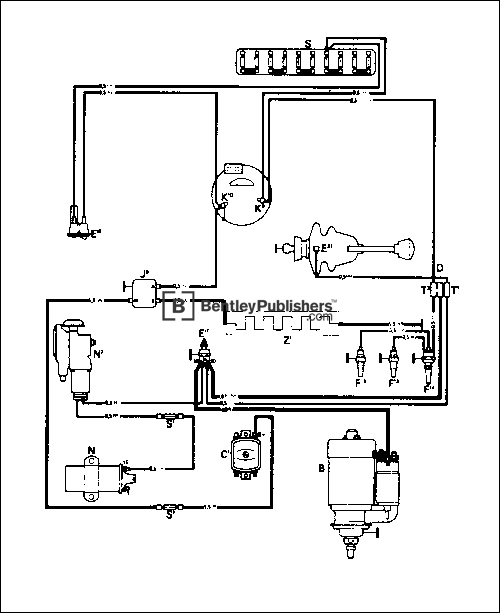 Find and repair electrical system problems with detailed wiring diagrams for Type 1 models.